It’s a 12-week online program, with a very limited number of memberships available. Each week is taught by the creators of the system. Each week includes a video lesson where we’ll take you through the specific steps to get your customers talking about your business over and over and over and over. Each week we’ll have a live questions and answers session to help you put these principles into practice IMMEDIATELY. Each week you’ll have a workbook with lessons you’ll complete to build your word of mouth strategy and grow your business by turning your customers into volunteer marketers. *If you choose our two payment option, you will be charged your first installment of $949.50 upon registration and your second installment on March 1, 2019. How to strategically craft a simple, memorable story that your customers will tell their friends (online and offline) over and over and over and over again. We call that your Talk Trigger. Why same is lame and why competency doesn’t create conversation. Also, why the more you try to fit in, the more your customers tune out. 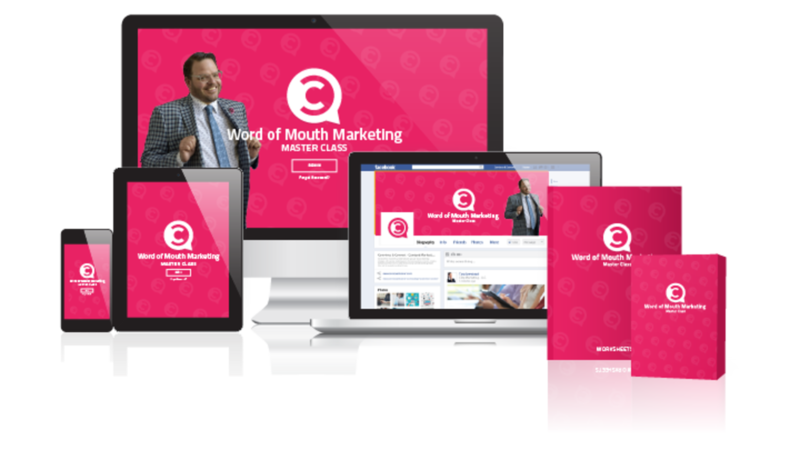 The three reasons word of mouth fails, and how you can avoid them.